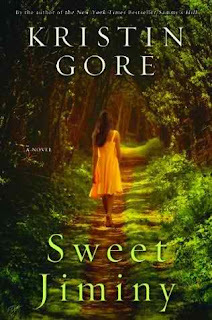 Kristin Gore is an excellent novelist and I'm pleased to see her versatility extends to writing emotional, serious novels in addition to comedy. Sweet Jiminy is fairly short at under 250 pages, but is well-crafted and very complete. The novel is easy to read in one sitting without any dull moments and is surprisingly, pleasingly suspenseful given the content matter. As is the continuing pattern with present-day novels taking place in the rural South, Sweet Jiminy brings to light how civil rights is still evolving in some areas of the country. Jiminy brings her urban, big-city mentality to a small Mississippi town and sets out to make things right. Readers can't help but be seduced and impacted by the genuineness of Gore's characters. If you liked Sweet Jiminy , I highly recommend reading Catfish Alley by Lynne Bryant, which has a similar plot. Both novels are very well written and worth the read. Kristin Gore's other novels are also extremely entertaining and hilarious though quite different from Sweet Jiminy -- called Sammy's Hill (2004) and Sammy's House (2007). You've caught my interest with these books by Kristin Gore. I'll definitely check them out. BTW, because of her DC books,I have to ask: Is she related? Hello! Sammy's Hill is one of my all-time favorite novels and I definitely recommend it if you love a good laugh. Also -- yes! Kristin Gore is Al Gore's daughter. I remember Sammy's Hill! It was hilarious. I need to check this one out too.